Good location but quite a ways from 5th avenue. The pool was nice and the guard that sits outside every night is super helpful. That poor guy needs a better chair to sit in though. 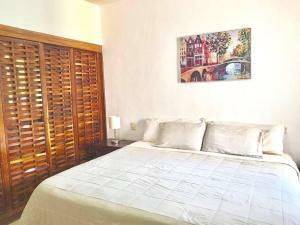 Excellent apartment, located in front the Beach 1street, in a quiet and safe private Playacar. 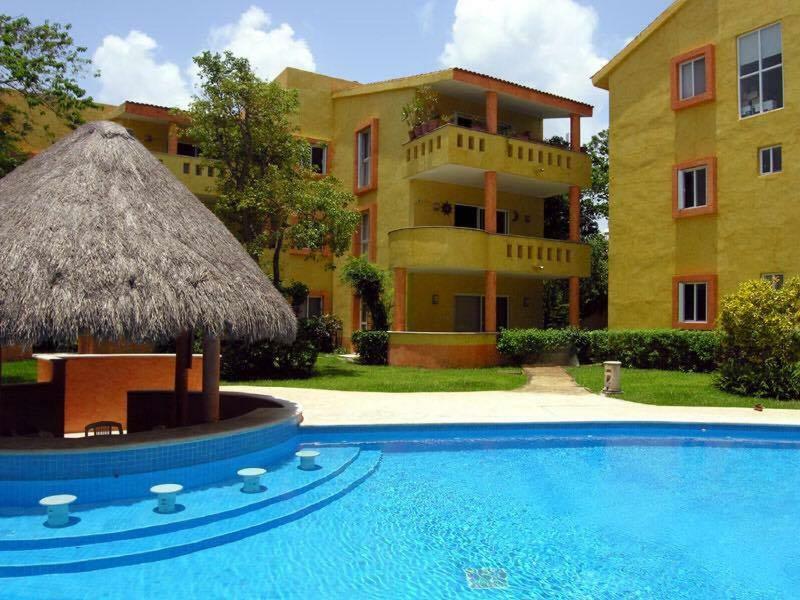 Beautiful Apartment, located in Playacar the very amazing place in front the Beach. Very Good! 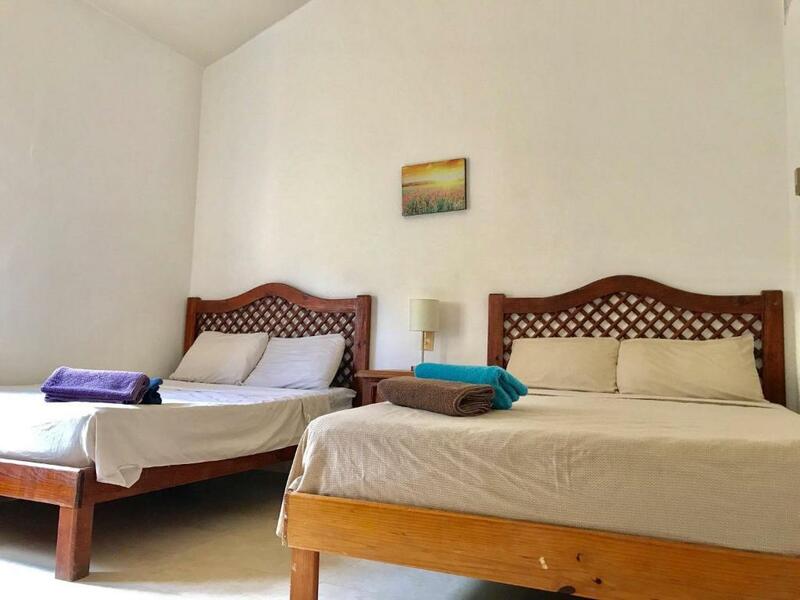 Departamento muy bonito, excelente ubicación, cómodo, muy amplio, pasamos con la familia y todos muy contentos, wifi funciona bien, el acceso que te prestan para que puedas ir a playacar super bien, ya que es una playa muy bonita y privada, excelente atención del anfitrión desde el momento de la reserva, lo recomiento totalmente, es un lugar muy bonito. Llegamos y Domenico nos estaba esperando. Una persona muy amable. Hay estacionamiento, wifi, dos habitaciones amplias con aire acondicionado, cocina completa, balcón con vista a la pileta. La pileta es increíble, muy buena y se encuentra dentro del playacar que es muy lindo. Te da una tarjeta para acceder a las instalaciones del Hotel Reef. Pileta, reposeras frente al mar, gimnasio. El horario de poder pasar al hotel es de 9 a 18hs. Nos fuimos muy contentos. 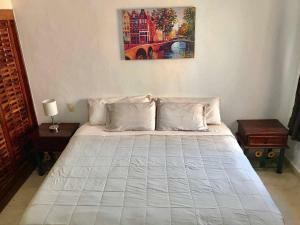 Excelente lugar, muy buen departamento equipado y en una buena posición, también ofrece tarjeta para entrar gratis en el Hotel Reef, bárbaro todo! È un Bellissimo appartamento con un ottima posizione di fronte alla spiaggia 2minuti a piedi, l’appartamento ha tutti i comfort. Excelente departamento con una muy buena posición, cerca de la playa y del Hotel donde tiene acceso gratuito. Lock in a great price for Apartment Front Beach – rated 9 by recent guests! One of our top picks in Playa del Carmen.Apartment Front Beach offers accommodations in Playa del Carmen, 0.9 mi from Playa del Carmen Maritime Terminal and 1 mi from ADO International Bus Station. The apartment is 0.9 mi from Disabled-friendly beach. Includes a card to enter the hotel for free at the reef, the beach is a 2 minute walk away. Other facilities at Apartment Front Beach include an outdoor pool. Kool Beach Club is 1.8 mi from Apartment Front Beach, while Church of Guadalupe is 2.7 mi from the property. 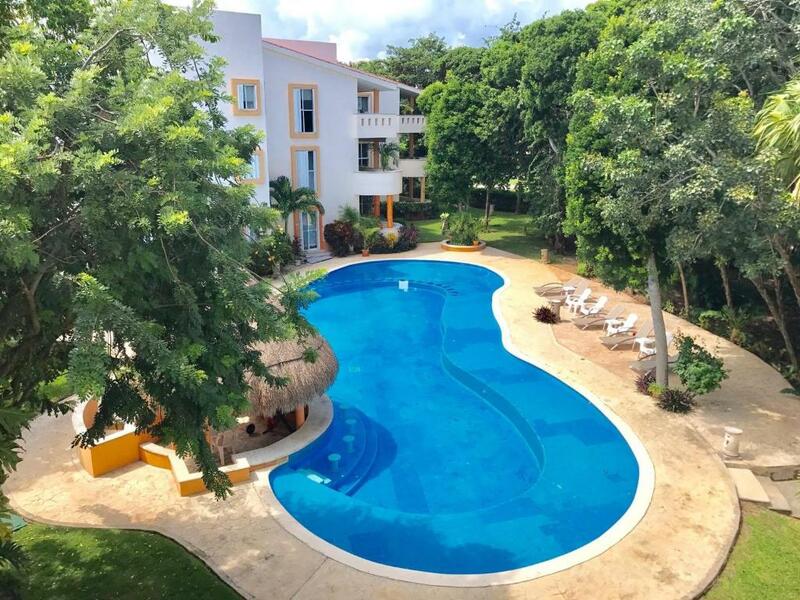 The nearest airport is Cozumel International Airport, 12 mi from the property. 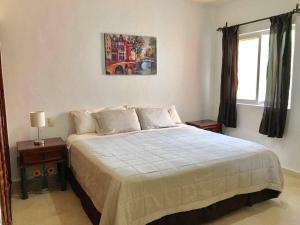 뀐 Located in the top-rated area in Playa del Carmen, this property has an excellent location score of 9.6! When would you like to stay at Apartment Front Beach? This property is located in Playacar phase 2, one of the most beautiful and safest places in Playa del Carmen, only one street away from the public beach of Playacar where you can enjoy the Caribbean, we also give our guests a card to access the Hotel Reef Playacar that is located right in front of our accommodation, with this card you can use umbrellas and hotel lounge chairs. the 5th avenue, its bars and restaurants are only 10 / 15minutes walking. 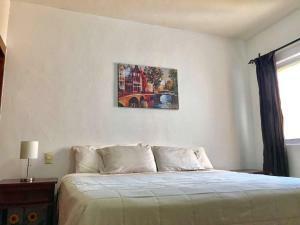 the apartment is very spacious and has all the amenities. In the condo there is a very nice pool. House Rules Apartment Front Beach takes special requests – add in the next step! Please inform Apartment Front Beach of your expected arrival time in advance. You can use the Special Requests box when booking, or contact the property directly using the contact details in your confirmation. The cleanliness, some facilities didn't work. Everything besides the pool. The place was filthy! Tile floor Made our feet BLACK! Almost everything is broken. Not worth $20 a night. I've stayed in hotels on fifth avenue before that were way nicer and a lot cheaper! Might just be the unit we stayed in, but it was horrible! Also, they say you can use the Reef across the street, but only four people at a time and you have to be over there at 8am to get in line. So basically, if you have a family of five, you're out of luck. I would stay somewhere else.